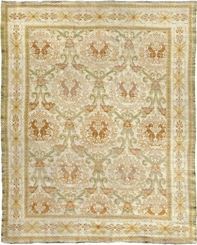 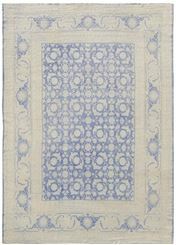 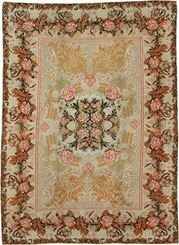 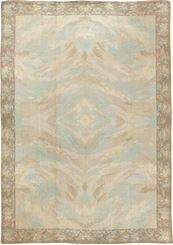 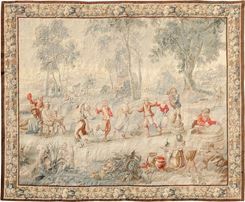 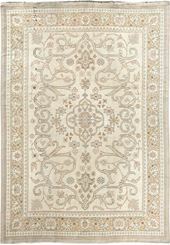 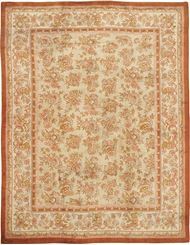 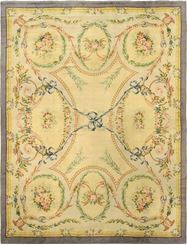 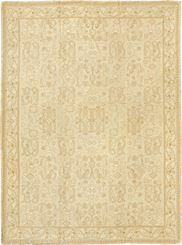 The manufacture of fine carpets, rugs and tapestries in Europe began in the 15th century. 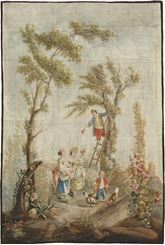 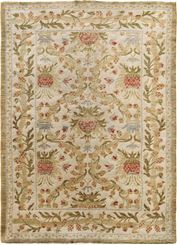 France, Spain and England were the principle countries with well established weaving centers. 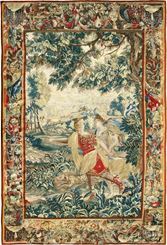 European carpets and tapestries are well known for their high quality wools and silks, majestic execution of designs and breathtaking interpretations of color. 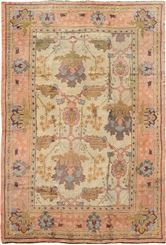 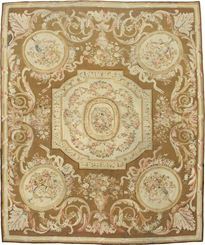 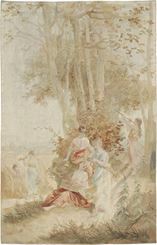 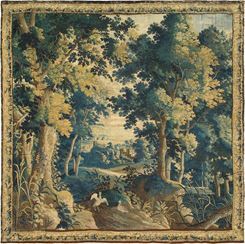 The French Savonnerie (thick pile) and Aubusson (flat weave) carpets remain among the most popular of European pieces, highly prized by collectors and decorators around the world. 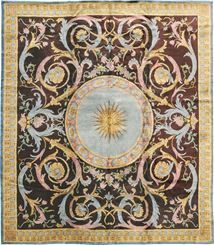 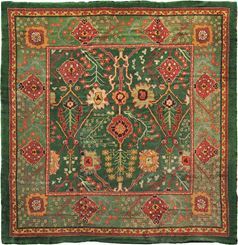 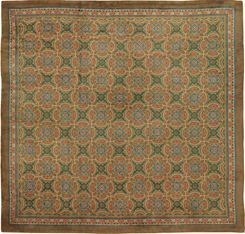 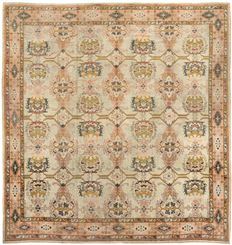 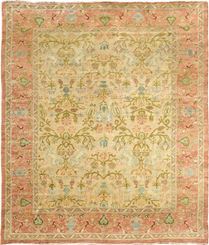 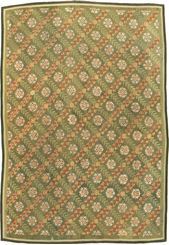 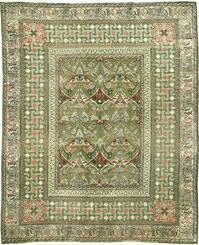 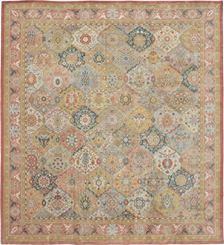 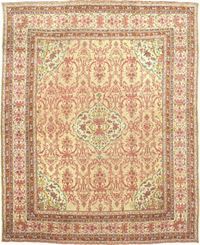 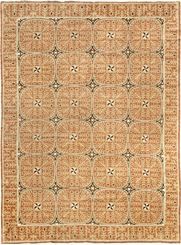 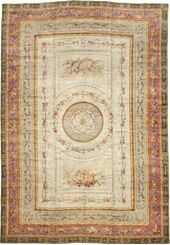 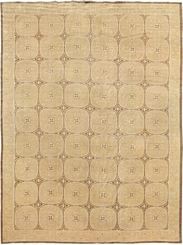 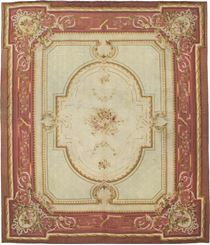 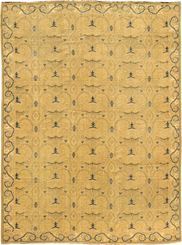 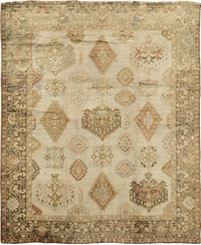 Mostly commissioned, these luxurious carpets were made in sizes ranging from small to palace. 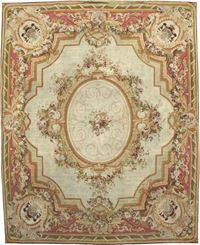 ANTIQUE SAVONNERIE 9'8" X 23'9"
FINE ANTIQUE EUROPEAN 9'0" x 12'7"